We have now closed the opportunity to add a name to our donation wall. However, you can still make a general unrestricted donation to the SVR Charitable Trust, or donate to another project by clicking here. Thank you for your support. Now that all the names have been registered, our next task is to carefully check each and every name that's been added to the donation wall. We'll then work with our designers and manufacturers to create a stunning wall, as a testament to all those who have shown such determination to save Falling Sands Viaduct. It's going to take a little more time to make sure everything is absolutely right, and we ask you to bear with us. We think the end result will be well worth the wait! Look out for a further announcement confirming when the wall will be ready for viewing at The Engine House Visitor Centre, Highley. We're now in the very last stages of our appeal to raise £397,000 for our ambitious Falling Sands project, and will very soon be making an announcement about how the appeal has gone. 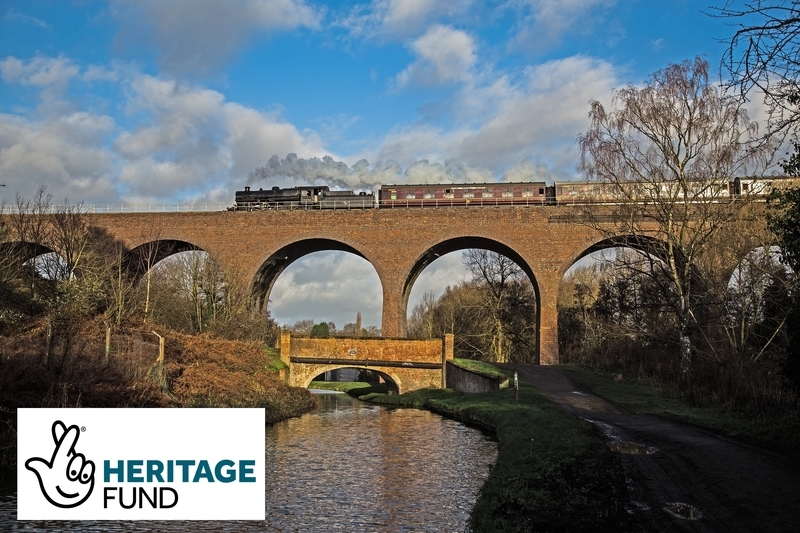 Not only will we carry out urgently needed repairs to the viaduct, which is a crucial part of the Severn Valley Railway, but we'll also celebrate and bring to life the rich history of the people who built it, and who worked and travelled on the Severn Valley line since its earliest days. The 141-year-old Falling Sands Viaduct urgently needs extensive repairs. Water has seeped into the structure, causing it to crack and erode. If we don't act now, we may be forced to reduce the length of trains, or even face temporary or permanent closure of the line. Already there's a speed restriction in place across the viaduct. More than 250,000 people experience the joy of heritage rail travel at the SVR every year, and we want to make sure this continues long into the future. We needed to raise £397,000 by 14th February 2019 - and will shortly be making an announcement about how the appeal has gone. Our success in securing funds will play a part in unlocking a further £1 million from the National Lottery Heritage Fund* – to carry out the necessary work. This amount is an increase on our original target of £275,000. We had to allow for working around two previously unknown gas pipes running through the viaduct, and we have increased the scope of the restoration work to include the corbelling and the replacement of two pilasters at one end of the structure. We will take out performance bonds to cover the SVR's potential revenue losses in the event of a contractor being unable to fulfil their contract for any reason, and as part of the interpretation element of the project, we will create a unique mobile exhibition about the story of Falling Sands Viaduct and the people who built it, all cleverly installed within a Charitable Trust-owned Stove R van. The response to our appeal has been wonderful - thousands of supporters, visitors, railway enthusiasts and businesses have signed up to add their name to our specially commissioned donation wall. We've also won the support of a number of grant-making organisations to help us save this impressive piece of infrastructure, and by so doing, safeguard the SVR's future operational viability. Our final bid to the National Lottery Heritage Fund for the £1 million was delivered at the end of October 2018, and we await the Heritage Fund's decision in March 2019. *Thanks to National Lottery players, we've already been awarded a grant of £71,800 to refine and develop our bid to the Heritage Lottery Fund for a full grant of £1 million. We will submit our bid in October 2018, and receive HLF's final decision early in 2019. A key factor in winning HLF's support is our ability to independently raise £397,000 towards the costs of restoring Falling Sands Viaduct.